I'll be the first to admit that Blogging is a personal journey. Your blog is an extension of you, your likes, & your personality so it's going to reflect you in the design, the posts, the layout, etc. I do this Boost Your Blog series to help your blog reflect the best of you because ultimately it's on the web for others to read & if you'd like to gain readers, somethings are consistent through all blogs with a readership. In this post I want to bring it back to the basics - I'm not going to talk about HTML, design tips, or the pros & cons of platforms - I'm going to bring it back down to 3 extremely basic things that will improve the over all look if your blog and bring up to par with other blogs that you may love. Now, you can resize your photos in your editing program of choice and select original size when you upload your photo to Blogger. 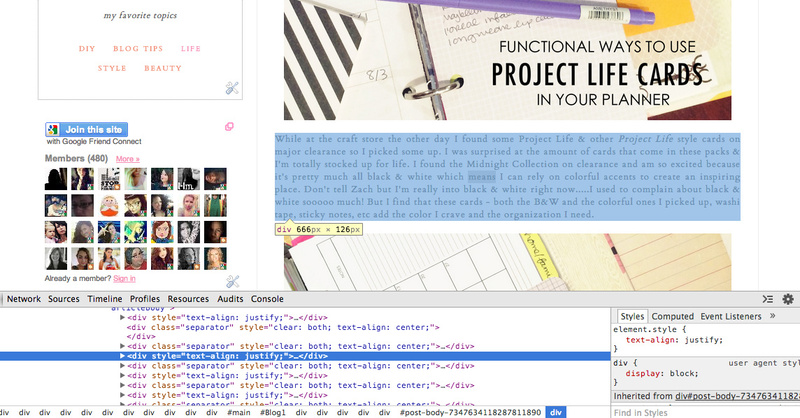 Or you can go into the HTML side of your draft post and change the width section to that number (like the image above). Then delete the height section so it doesn't give you a skewed image, your image will automatically fill out to be the correct height. Do this step after you've uploaded your image. Giving your image the same real estate that your post body takes up gives the reader a more pleasurable experience. I also tend to only take landscape or square photos as I find long, portrait photos to take up too much space & not balance nicely with my bodies of text. This one is also important for the comfort of your reader. Have you ever tried to sit for a while and read cursive handwriting? It can all run together, can't it? Limit the frilly, handwritten fonts in your design. Use them only for a blog header or accents. Additionally, consider how the body of your post looks. It is easier to read a sans serif font at a lower size than a serif font. Currently (at the time of this post because I change up my design quite frequently) I'm using a serif font in my post body. If the size were scaled down less than 12px it would be harder to read. If it were a handwritten font it would be even harder to read at this size. Sans serif fonts are the easiest to read at lower font sizes. I chose to go with this serif font, however, because I love the way the font looks when it is italicized or bold. It gives a different texture to the page...so that is another thing to think about when picking your font. This next tip is about organization. 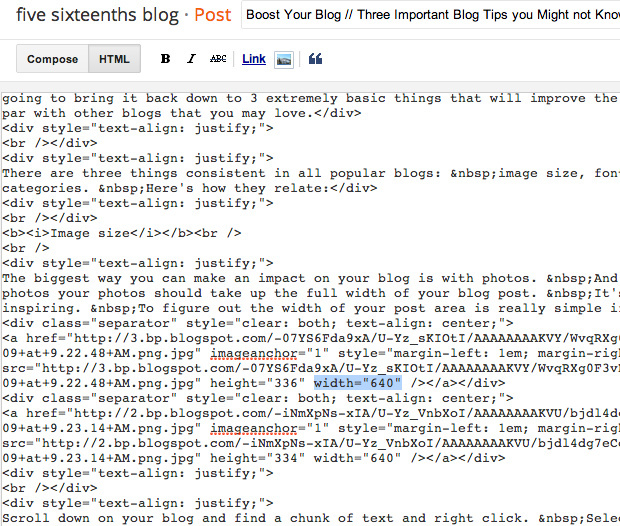 A lot of the times in your blog you'll want to categorize your post as one that might go into a series of posts. This is where the tags or labels option comes in. When I first started blogging I believed that the labels section of my post was there for me to list every single word that could describe my post so it would show up in search engines. That is not the case. 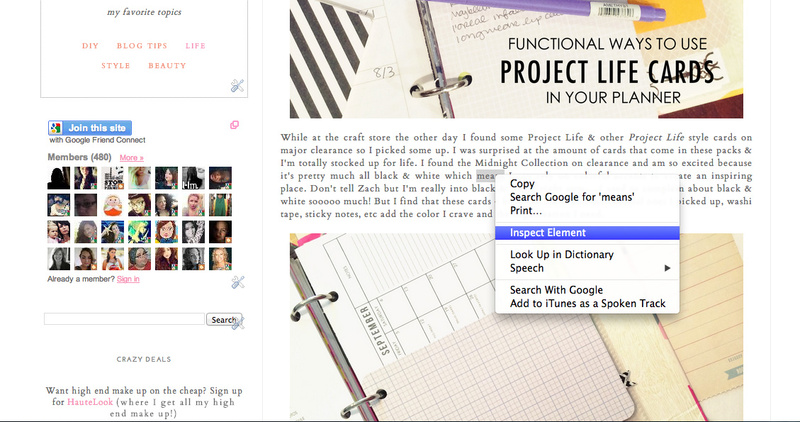 The labels section is there for you to create categories for your blog. Try to limit the number of categories you have so that you can find the posts all related to one category later. I have nearly a million because I started this too late! Create a list separately of the types of posts you do and file your posts under only a few of those labels. If you have too many you may forget which labels you've put things under and posts may get left out (I'm guilty of that with too many labels!) It creates a better experience for you when you are trying to link to a series of posts and allows readers to search under a certain tag to find what they are looking for. 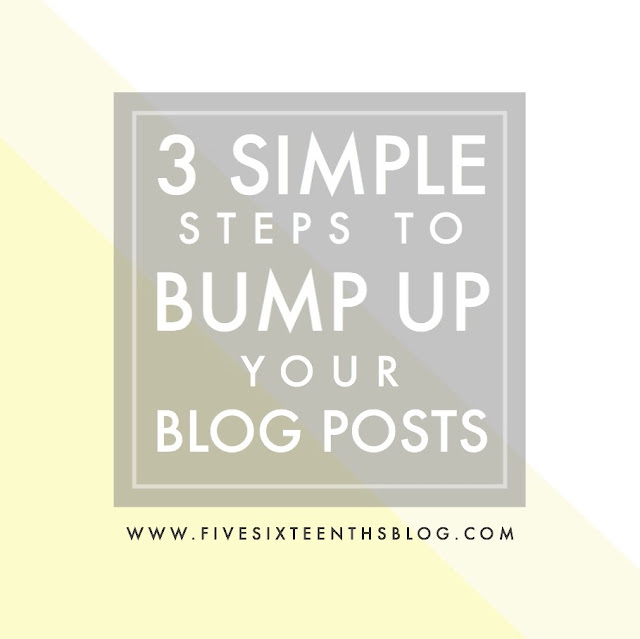 These three tips are some of the basic things that will get you off to a good start in blogging. Creating an organized space visually will keep a reader interested in your blog for longer! What are your three tips for blogging that get over looked? Anything you instantly notice when reading a blog for the first time?